Broadcast provider gives up frequency packet. 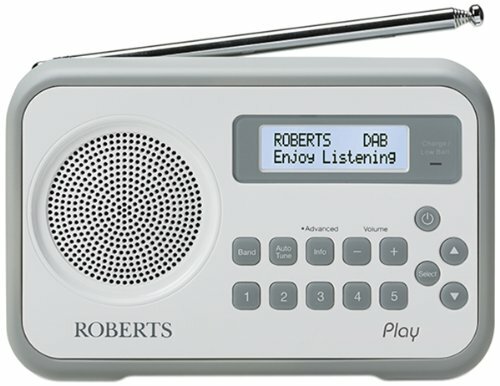 Will DAB kill radio? In May 2019 Norkring AS will return the license for Riksblokk 2 (National Block 2), which is a commercial frequency packets consisting of channels 11A and 12A. Norkring won an auction of Riksblokk II in 2012 with a bid of NOK 4.004.000 kr. Building permit and frequency license was issued until 31 December 2031. But now it seems that Norkring has given up what the politicians once imagined would be widespread diversity with more actors than the duopoly of two nationwide commercial radio companies. - DAB Riksblokk 1 is a commercial block owned by Norkring. Here are the foreign-owned companies Bauer and MTG. (Radio Norway and P4) with a total of 15 channels. - DAB Regionblokka owns public broadcaster NRK, which broadcasts its 10 channels here. - DAB Lokalradioblokka consists of 37 local regions which together cover all of mainland Norway. Channels 11A and 12A are transmitted at frequencies 216,160-217,696 resp. 223.168-224.704 MHz. The Telenor-owned company Norkring invested in Riksblokk II 2012 to protect its own investment in Riksblokk 1. This has been confirmed by sources in Norkring. Riksblokk 1 cost NOK 20-25 million per year, but the agreement between Digitalradio Norge AS and Norkring is NOK 63 million a year. NRK and P4, who also own Digitalradio Norge AS (now Norsk radio AS), have now pushed for the frequencies to be returned because there are no other stakeholders around to expand the DAB network more. Before the Parliament’s decision on the DAB radio 2011, in the prior debate it was said that the diversity in Norwegian radio would increase when more nationwide commercial stakeholders than the then present two (SBS/Bauer and MTG) would join. However, a market analysis would have revealed that Norway with only 5 million inhabitants and a dominant public service company could not carry more commercial DAB networks. Adding DAB stakeholders would have seriously threatened the economy of the two current nationwide commercial companies now tormented by low listening figures. Except the main channel P4 with 14% market share, none of the other 14 channels have a listening share of over 4%, several channels are around 1% or less (week 42). It is estimated that about half of the Norwegians do not listen to radio via DAB, but instead choose FM or online listening. According to a recent poll two out of three Norwegians does not experience any improvement of listening quality switching from FM to DAB. Local radio continues to broadcast on FM until at least 2021 and in order to survive have aske for extended permits until at least until 2031. Listen to local radio and cross-border radio on FM (mainly from Sweden) has increased since the nationwide channels left the FM band 2017. Norway is so far the only country in the world replacing FM with DAB for national radio broadcasts. Neighboring Finland and Sweden have no plans to replace FM with DAB. Probably also Denmark will retain FM radio. A reasonable observation is that the Norwegian DAB lobby is now focusing on persuading politicians to maintain the ban on commercial FM radio in the four largest cities and possibly also bring a total ban on FM broadcasting across Norway. There are little chances that DAB would survive in a free market without continued government intervention.